New York Journal of Books celebrates literary excellence in children's books in its selection of message driven, visually stimulating and fun titles that will enrich a child's mind. SOUTH PLAINFIELD, N.J. - Dec. 7, 2018 - PRLog -- New York Journal of Books is dedicating this week to recognizing children's books that demonstrate literary excellence through masterful use of illustration, message, storyline, visual energy, and humor. What makes these titles special? As much of our youth continue to fall off the "reading wagon," these books play an early role in drawing in those early readers. They introduce information, address issues, and convey helpful messages in a manner that is engaging and accessible for young readers—not to mention fun! Selected by NYJB staff the titles below are featured for their captivating and playful visual imagery and exceptional overall content. New York Journal of Books is an online review journal renowned for professional reviews that cover a broad range of genres. 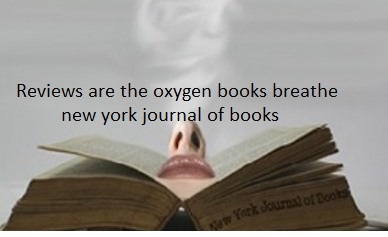 Allow NYJB to help you choose that perfect book; visit http://www.NYJOURNALOFBOOKS.COM on the weekends in December. Spring: a time to relax, be outdoors—and read! But books don’t grow on trees, so how to choose? Jackie Robinson's legacy celebrated in concurrent release of new book and movie. Reviewer tells author to man up and shut up and blasts him for publicly mocking a failed marriage.